4 steps for more affordable, effective disaster recovery. 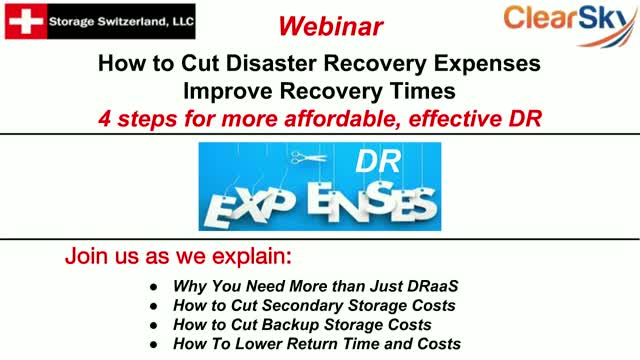 Disaster Recovery is an expensive proposition. But since the consequences of not being prepared for a disaster are so severe, it is an expense that organizations make. But that's not to say organizations are not always looking for way to do DR better, faster and for less money. In this live webinar join Storage Switzerland and ClearSky to learn how organizations can lower the cost of DR preparation and execution.